Its ultra volumising formula coats lashes from root to tip andprotects them against harsh external factors (pollution, rubbing, air conditioning). Enriched with regenerating and nourishing cotton and sweet almond oils, it has been specially formulated for sensitive eyes. Its brush that applies so softly thanks to its rounded shape and ultra-soft fibres, gently coats lashes to build volume without clumping. It gives a lot of volume, but does not make the lashes stiff. The brush is very easy to manoeuvre with, on both the top and bottom lashes. ***It is not waterproof, which is the whole point of the 'for sensitive eyes' concept anyways. This makes it very easy to take off. It is however water resistant, I'm guessing (although it doesn't say that anywhere) because it doesn't immediately get all messy if a little water or eye drops get on them. I'm quite happy with this one. I like it better than the Maybelline Colossal Volume Express Mascara. 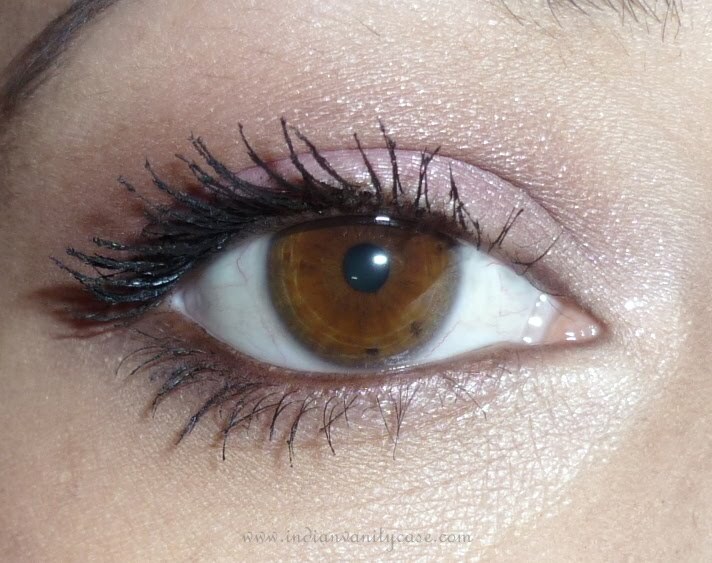 loving the lashes after mascara, i reminds me of my HG bourjois mascara clubbing. I also got this one! :D It's an awesome mascara :D At first I thought, since it grasps lashes so lightly, that it would have huge fall out - but nothing of that :D <3 <3 Bourjois! I bought this mascara today only and tried it and loving it! 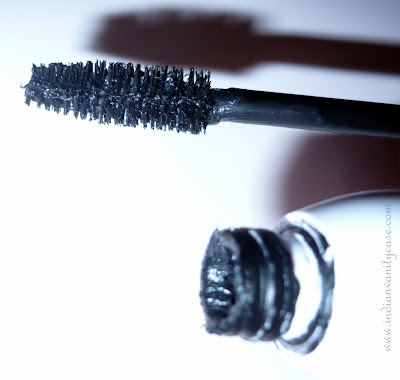 The smell of this mascara is nice too. Ive been looking for a really good Mascara.. Pls suggest me at least 2 good ones, hoping I'd get at least one of them from the stores around my place. 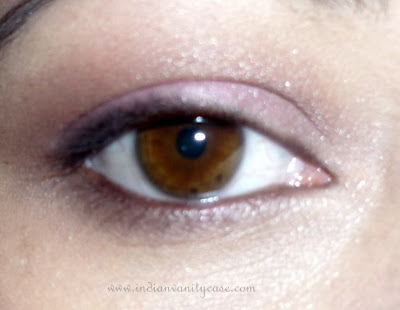 @Aarthi~ My personal favs are: Bourjois Volume Clubbing & Max Factor False Lash Effect. These both have a big brush, which some might find a tad hard to handle. They give a lot of volume! Depends on what u want more - volume or length? U can check out Maybelline Define-a-lash if u want a smaller thinner brush. I have other favs, but they're not available in India. Let me know about yr preference. 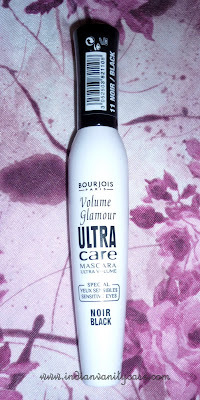 Bourjois mascara sounds exactly what I need. Guess its my next indulgence ! wow...it really works,but i think without lash curlers it won't be that effective!please include infos abt some good but less pricey curlers.